Antisocial personality have some clear symptoms as impulsivity, unstable emotions, aggression, drinking, use of drug, early initiation of sexual behavior making some difficulties and problems in their relationship with family members and those who have interaction with them and at least in the society. According to the mentioned symptoms of this personality disorder in the present research, it has been tried to solve these problems by comparing with the effectiveness of dialectical behavior therapy (DBT) and rational emotional behavior therapy (REBT) in irrational treatment, anxiety among young male prisoners who have antisocial personality in Ilam prison. The present semi-experimental project has been done by pretest and posttest selected purposely 64 subjects that have been selected purposely between 18 and 40 years among male prisoners in Ilam prison. Three questionnaires have been used, which are as follow: Millon Clinical Questionnaire, Johns Irrational Beliefs and Back Anxiety Questionnaire. In the study of the effectiveness of the therapies, the results showed that DBT has affected on all irrational beliefs (P < 0.05) and REBT only has affected on changing some beliefs. There is not also a significant difference between pretest and posttest scores for treating the anxiety but, DBT is more efficient than REBT. According to the findings obtained appears to be a dialectical therapy, therapeutic efficacy. Is more efficient than REBT in irrational believes treatment, anxiety people with antisocial personality disorder. Background: Depression and anxiety are major health problems among chronic pain sufferers across the lifespan. Patients with high levels of depression and anxiety are likely to express fearful feeling in response to physical sensations or when stumble upon stressors or pain. Aim: The aims of this study were to identify depression and anxiety among different types of chronic pain patients, and to explore the experiences and consequences of depression and anxiety in the patient's life through a qualitative study. Materials and Methods: Thirty-seven chronic pain patients from pain clinic and neurology clinic, Universiti Kebangsaan Malaysia Medical Center, were participated in an interview for self-reported data collection. All subjects suffer from chronic pain complain of headache, shoulder, back and knee pain. The data were analyzed using interpretative phenomenological analysis. Result: Results showed that chronic pain patients with high anxiety and depression responded more fear toward their environment and underwent negative relationship with their family and others. The results also indicated that depression and anxiety problems present as the psychological elements of worry, preoccupation, rumination, and avoidance. Conclusion: Identifying depression and anxiety that accompany the discomfort during pain may help increase the intensity of pain. Management of psychological factors during pain may include increased rates of return to work, reductions in health care costs, and increased health-related quality-of-life. In addition, feeling worry about family and feeling depressed, these situations affect the emotional and physical intimacy among family members. Introduction: Patient satisfaction represents the physician and medical staff's competence and shows the observance of patient's rights and as well the quality of treatment and complaint is expressing dissatisfaction, which requires the accountability and auditing. Now-a-days complaint handling is considered as an essential part of the health care system to promote health standards. Because complaint handling constitutes identifying the main causes of the problem, organizing performances and identifying reliable sources to find the reason of the complaint. In this study, the researchers intend to identify the sources, people, subjects of the complaints and the action taken in this regard in a teaching hospital in Isfahan. Methods: This paper is a descriptive cross-sectional study. The population of the study has been all the cases that have referred to the hospital's complaints unit. For data collection, we observed and checked the existing documents in complaints unit that due to the problems with data recording only the data related to 4 months of the year 2012 and those related to 1 month of 2013 were investigated. Results: On the basis of the results of this study, it can be demonstrated that the major subject of complaints has been the issues of public concerns and welfare of the hospital and the hospital's service quality. Most complaints filed by the patients and their families has been about the physicians and the hospital staff that finally, most of them have been settled in the complaints unit and in the next steps, raising complaint were not reasonable. Conclusion: According to the results it can be said that by detecting the subjects, resources, and people that have been complaining about in the hospital, weaknesses in providing the services were identified and by regarding them they can improve the service providing. Moreover, by sharing the findings from various hospitals, different experiences in this context can be utilized. Background: Nepal is a Himalayan mountainous country and it is extremely vulnerable to various natural disasters such as floods, earthquakes, landslides, windstorms, droughts and other ecological hazards. Every year, the disaster statistics of Nepal are awful which always motivate and justify the urgent need of disaster risk reduction (DRR) works in Nepal. The World Disaster Reduction Campaign for 2006-2007 (Disaster Risk Reduction begins at school) has started various initiatives worldwide to make school safer from disaster and Nepal has also started to include disaster education in school as its program of mainstreaming the disaster risk reduction in education sector. In this context, few education programs for disaster risk reduction were already initiated in Nepal and few positive results were already documented. However, evaluation of the real ground scenario from independent research is still lacking. Aim: This research aims to explore existing knowledge of school teachers in Nepal about disaster risk reduction. Materials and Methods: Altogether 106 teachers from 19 districts of Nepal were interviewed and various questions related to disaster information, disaster knowledge, readiness, awareness, adaptation, and risk perception were asked to the teachers. The school principal, or the vice-principal or the assistant principal is selected for the interview. Their respond on DRR issues certainly help to accumulate realistic scenarios of DRR among education leaders of Nepal. They were 13% of female and 87% of male participants. Statistical Analysis: Statistical analysis, such as histogram analysis, distribution analysis, bivariate correlations and independent sample t-tests were conducted to examine the relationship between teachers and their knowledge on key DRR issues related dependent variables. Result and Conclusion: Finding of this independent research confirmed that initiatives taken for DRR in education sectors of Nepal is not enough and still teachers are not fully aware of DRR issues. 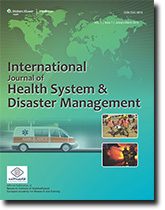 The research also found that teachers are not well informed of elements in disaster risk and related knowledge of DRR. In Nepal, the DRR education must be promoted to communities through the well-groomed school teachers to reduce disaster risk in community and to establish disaster safe society. Introduction: Casualties of natural dangers and the risks resulting from improvement of technology are increasing. One of the human responses to these dangers is migration. The purpose of this study was to investigate the relationship between migration and natural hazards. Methods: The method used in this study was qualitative research and methods used in this paper are based on library research and documentation and analyzing migration based on the sociological theories of migration. We also tried to gather required evidences due to sociological look at the migration after Bam's earthquake on January 2003. Finding: The findings of this study suggest that in many cases the relationship between migration and environmental risks and ecological characteristics of the type of risk there. Conclusion: The results indicate that environmental factors play an important role in forming the decision made to emigrate especially among those who are most vulnerable. Immigration control after natural disasters should identify factors threatening social and economic environment, and create new opportunities for people affected by planned. Context: Patient's safety is the core part of healthcare service providing process and hence improving safety culture in hygienic care system plays a critical role in eliminating or reducing mistakes and generally improving the hygienic care quality. Aims: This study aims at evaluating the viewpoint of nurses working at selected hospitals of Isfahan toward patient's safety culture in 2013. Subjects and Methods: This study is a descriptive-analytical research. Sample community consists of 50 nurses of three selected hospitals in Isfahan and sampling method was chosen to be of stratified kind. Data gathering Questionnaire has been the patient safety culture evaluation questionnaire of the Agency of Healthcare Research and Quality of America (AHRQ). This questionnaire consisted of 44 questions categorized into 14 dimension, 10 dimension of patient safety and 4 dimension of consequences of patient safety culture. Statistical Analysis Used: Analysis of data from descriptive statistics has been conducted using SPSS version 18 software. Results: The amount of positive scores in 10 dimensions of safety culture and 4 dimension of safety culture consequences and almost in every factor of them was at acceptable level. The average of positive scores in 10 dimension of patient safety culture have been 73%, 83%, and 78% for charity, private, and public hospital respectively (feedback and communication about the errors) and lowest (teamwork in part) has the most points won have. Conclusion: Each organization can indeed improve the patient safety by knowing its weaknesses and strengths. For example in this research, hospitals must attention to feedback and communication about error and hospital management support form patient safety. Background : Even after more than 60 years of independence, inequalities in access to health care are widely prevalent in Indian communities. As per National Family Health Survey-3 only 5% household are covered under any health scheme or insurance. Objectives : The present study was planned to conduct with an objective to assess the awareness of health insurance among rural northern Indian population. Materials and Methods : The present cross-sectional survey was undertaken among 422 eligible subjects in the rural field practice area of Department of Community Medicine of a Tertiary Care Centre located in rural Uttar Pradesh, during June 2013 to August 2013. Results : Overall 44.5% of the study subjects were aware of health insurance, while remaining 55.5% had not heard about it. Gender wise males were more aware than females (51.3% vs. 32.4%). Participants belonging to higher socioeconomic class were more aware (67%) compared to those of the lower class. A good number of respondents believed that health insurance is for tax gain (35.30%) and coverage of medical expenses (41.23%). 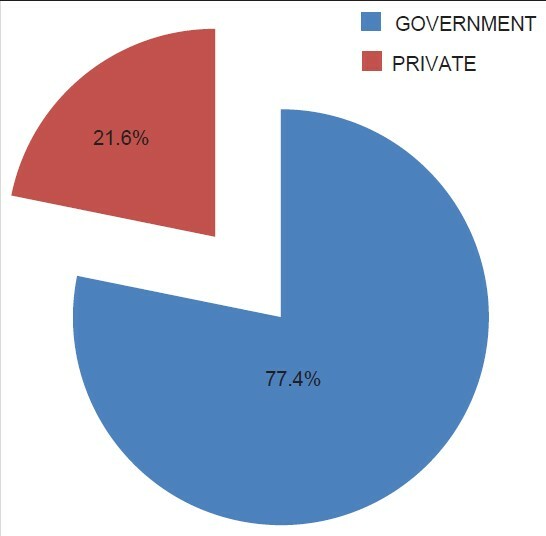 77.4% of respondents believed in governmental health insurance agencies rather than private insurance companies. Conclusion : The findings of the study highlight that it is need of the hour to launch information, education and communication activities in order to make rural communities aware of the need of health insurance to meet the ever rising medical expenses in view of unpredictable illness and injuries.